You are here: Home / Blog / SDN / NFV / Keep watching the skies: What’s next for SDN? Across the telecom industry, all eyes have been on software-defined networking for quite some time now. With pressure mounting to support larger workloads and a more diverse range of connected devices and platforms, telcos everywhere are eager to enhance their existing network capabilities. SDN has been positioned as the answer to some of the most pressing issues facing telecom companies, providing previously unthinkable flexibility with their network assets. As SDN adoption grows and more organizations not only dabble with pilot programs, but pursue full-fledged deployments, the question on everyone's minds is: What's next for SDN? Thus far, Tier 1 carriers have led the way in SDN adoption, demonstrating the technology's various applications and showing its true value to the industry at large. Technology Business Research Inc.'s December 2016 report, "2H16 Telecom Software Mediated Networks (NFV/SDN) Customer Adoption Study," revealed that these larger organizations were laying the foundation for more widespread SDN growth. By creating their own use cases and supporting SDN development with both suppliers and the open-source community, Tier 1 carriers such as Telestra, AT&T and Orange have fostered a hotbed of SDN activity. As such, nearly 90 percent of surveyed telcos expect to fully adopt SDN solutions by the end of 2018. "Telecom networks will need to be faster and more flexible." It's really no wonder why carriers are so excited about SDN when you take a look at the numerous industry challenges looming over the horizon. The forthcoming rise of 5G networks, for instance, will require telecom networks to be more efficient to reduce latency and provide the best service quality possible. Meanwhile, the Internet of Things will continue to introduce additional connected devices to existing environments, straining network infrastructure. Telecoms companies also view SDN as an ideal way to experiment with and roll out exciting new services for their clientele. All of this is to say that telecom networks will need to be faster and more flexible to keep up with traffic demands and user expectations, and SDN offers a clear way forward. Telcos are reviewing every corner of the global infrastructure for opportunities to deploy this technology, including terrestrial, undersea and satellite networks. So far, the immediate focus for most SDN efforts has been carriers' terrestrial networks. That makes perfect sense, as they are responsible for a great deal of continental service and provide a useful trial ground for experimenting with new capabilities. However, don't overlook the vast potential presented by SDN deployment in undersea networks. As CloudTweaks contributor Andy Lumsen noted, the vast majority of international data traffic runs through submarine cables, making this infrastructure one of the most important network assets in the world. Undersea cabling, by its nature, tends to be rigid and difficult to scale up. Making any kind of changes to submarine network capabilities can be extremely challenging, but SDN can help immensely in this regard. By making networks more programmable, telcos can shift resources around accordingly and more directly connect their undersea networks with terrestrial data centers. The end result is a faster, more dynamic submarine architecture that facilitates better service and lower latency between different continents and nations. 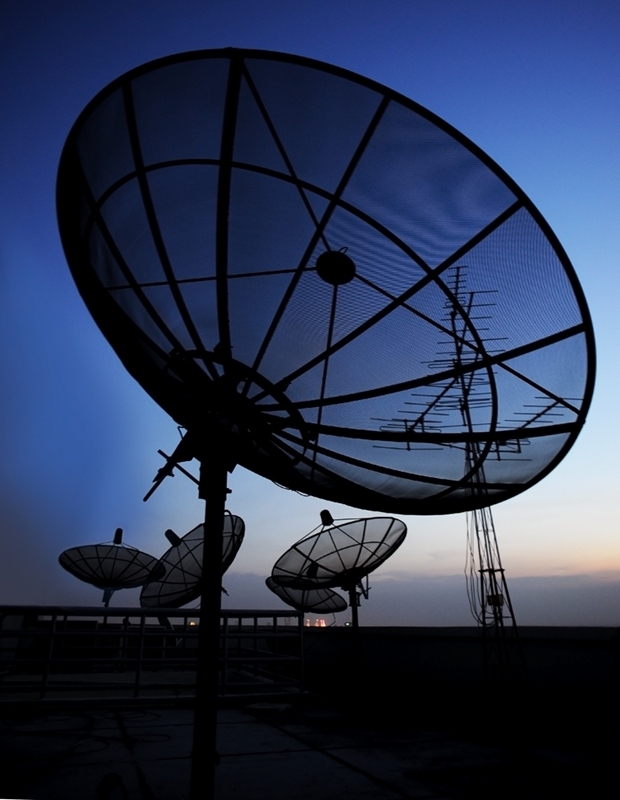 Satellite communication networks can be greatly enhanced with SDN technology. To truly see where SDN's path is headed, you need to look up to the sky. Orbital networks are the next frontier for SDN deployment, where telcos will leverage this technology to improve service delivery and create a more unified global network. Satellite networks are relied upon to cover more ground and provide services to large areas at once, as well as expand delivery to even reach remote areas. Moreover, orbital network architecture is inherently versatile and expandable, supporting numerous data types and applications. That being said, the model is not without its challenges. Satellite orientation, signal delays and even environmental factors like weather patterns and galactic noise could affect network performance. SDN has emerged as a way to better manage orbital assets and put satellite networks in the best position possible to provide top-of-the-line service and minimal latency. For instance, an SDN-enabled network could anticipate disruptive topology changes in advance and modify resource allocation accordingly to avoid service delays. Some of the most incredible work in this field is being done by none other than CloudSmartz itself. Partnering with Laser Light Communications, CloudSmartz has embarked on a partnership to create a cohesive, hybrid mesh global network connecting orbital satellites with traditional terrestrial networks. By combining SDN capabilities with artificial intelligence and machine learning technology, the partnership plans to produce a more automated, thinking global network capable of routing traffic in real time to minimize – if not eliminate altogether – unnecessary latency and outages. Beyond the reliability and uptime benefits this project plans to produce, the hybrid mesh network model would also provide incredible network speed advantages. Once complete, it is expected to support service speeds that are 100 times faster than what is currently possible with space-based radio downlinks. Clearly, the future of telecom is SDN, and the future of SDN is orbital satellite network architecture. Once the potential of this incredible technology is fully realized, carries will be able to provide faster, more reliable service to their entire user base. The future is looking very bright indeed. http://cloudsmartz.com/wp-content/uploads/2018/01/SDN-will-help-create-a-more-connected-global-network_16001472_40043726_0_14136453_500.jpg 332 500 Matthew Ray http://cloudsmartz.com/wp-content/uploads/2018/12/CloudSmartz-Logo-300x134.png Matthew Ray2018-01-23 06:00:002018-03-29 20:54:30Keep watching the skies: What's next for SDN?